Beginning in 1904, the Atchison, Topeka and Santa Fe Railway (AT&SF) carried freight through the city of Richmond, reaching its height during World War II when Richmond became a national leader of wartime industry and the woman's labor movement. This same corridor, which sat unused in the heart of Richmond for more than 25 years, has been transformed into a model urban trail known as the Richmond Greenway. The greenway is a bicycle and pedestrian rail-trail that brings 32 new acres of vibrant open space to a densely populated, underserved community with few recreational opportunities and scarce green space. 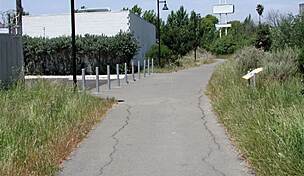 The path also provides pedestrian and bicycle access to other regional trails, and makes key connections with community resources and public transportation. 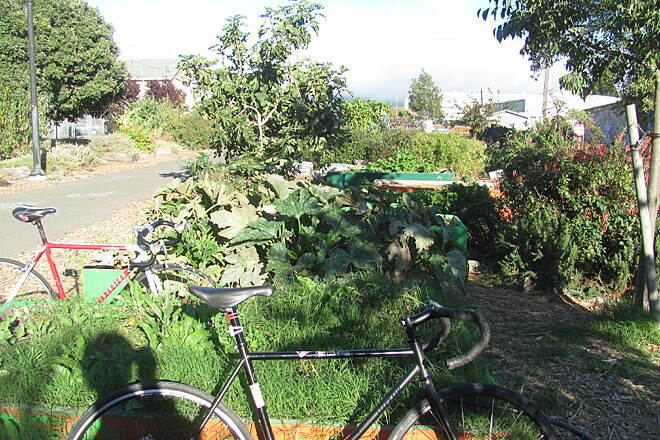 The first segment of the trail opened in 2007 between 2nd and 23rd Street and includes the Lincoln Elementary School Community Garden where Urban Tilth is growing herbs and veggies to supplement the local supply. 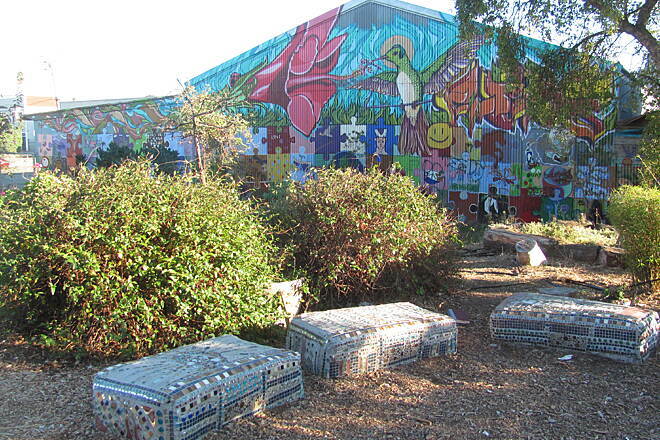 The Watershed Project developed a native plant garden and has worked to grow the landscape in the area as well. 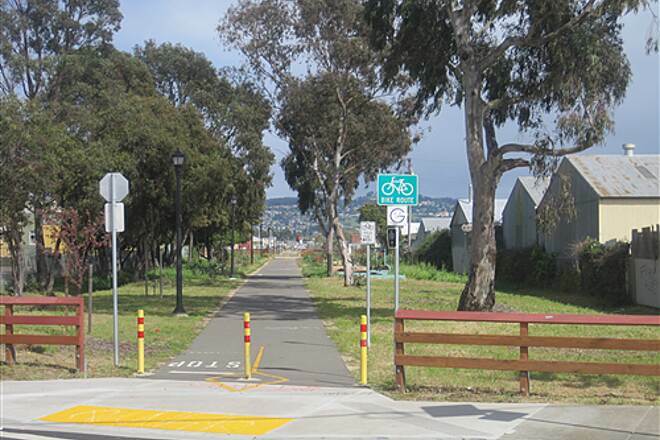 Trail users can reach the sprawling San Francisco Bay Trail system by continuing a short distance on-street from the trail's western end along Ohio Avenue. 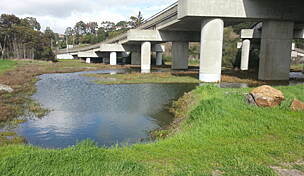 A newer segment of trail doubles the length of the Richmond Greenway by paralleling BART between Carlson Boulevard and San Pablo Avenue. 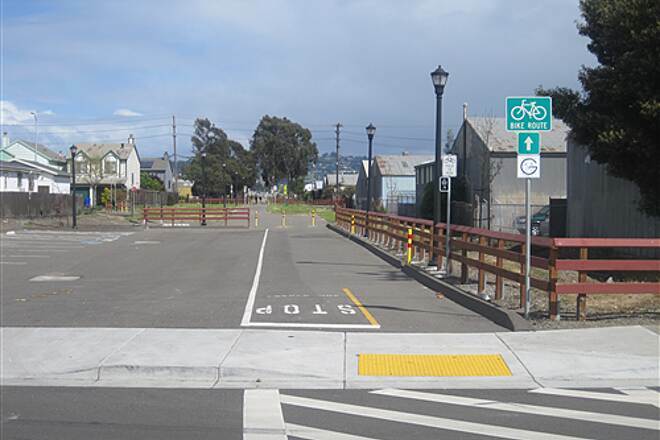 This new segment connects neighborhoods with central Richmond and the Ohlone Greenway across San Pablo Avenue. 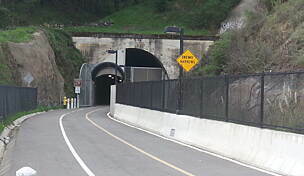 The right-of-way is narrow in this section and only allows for limited landscaping, but the route includes a bridge over the BART tracks and a tunnel under Interstate 80. 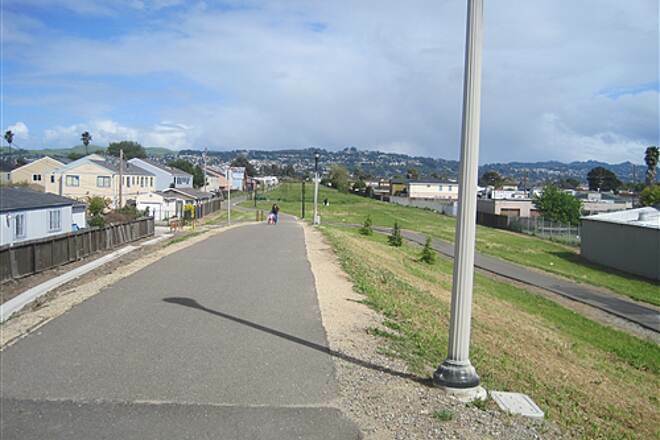 Like most urban projects, there are still some challenging gaps that need to be addressed to better connect the two segments to each other, as well as to the San Francisco Bay Trail to the west and the Ohlone Greenway to the east. 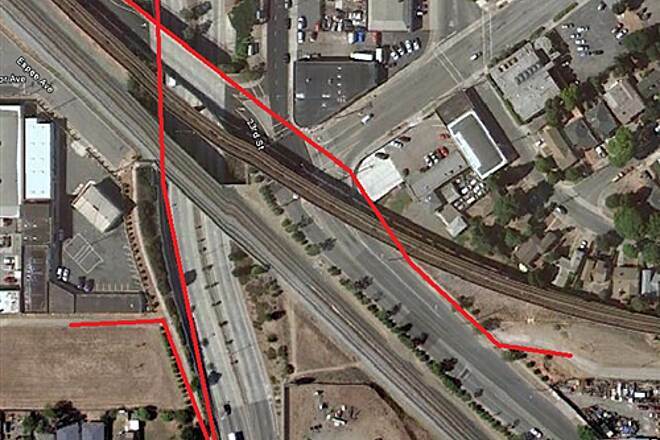 The City of Richmond is working on grant funding to connect the two completed segments across the active railroad tracks and 23rd Street, which pose a major barrier to connectivity. 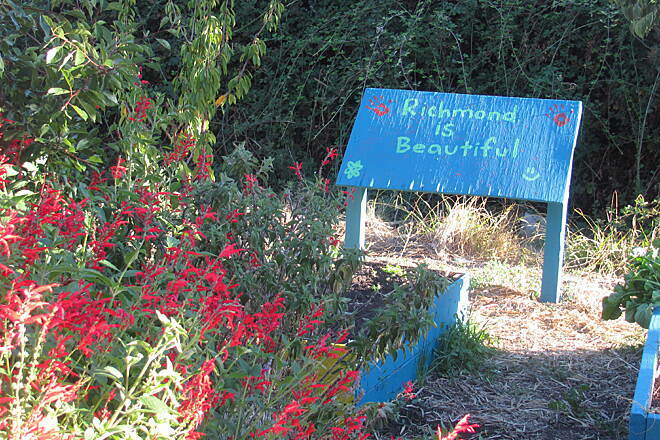 There are no official parking areas for the Richmond Greenway, but parking may be available on local neighborhood streets. Be sure to obey any posted parking restrictions. 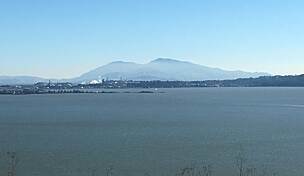 Had an errand to run in Richmond by bike and Bart and was directed to the trail by Google maps. At each intersection, there were signs indicating I was on the trail (I knew that!) but nothing indicating the street name; the only way to figure out where you are is to get off the trail and ride to the nearest street intersection. 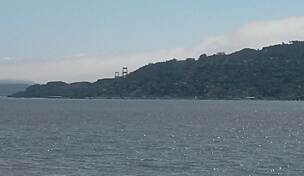 On the way back to the Bart station, I got lost and ended up on a dangerous road. How about some signs???????? 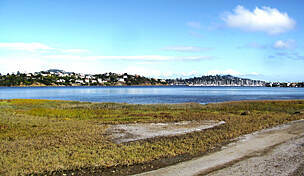 Richmond Greenway is touted as one of the top 10 in CA by RTC. Sorry Rails-to-Trails Conservancy do your homework. 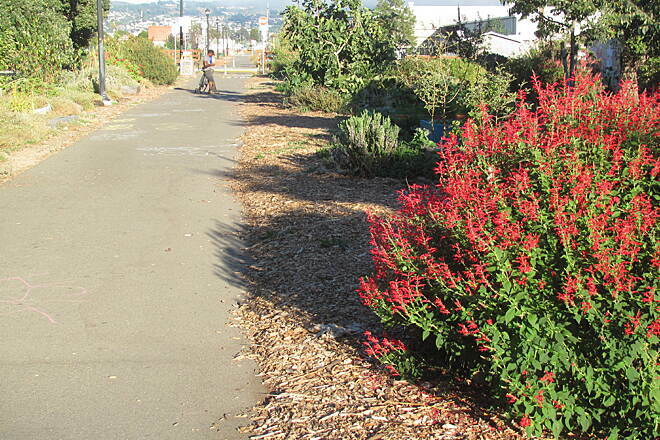 While the City of Richmond is rightfully proud of its 3-6 blocks of completed trail, community garden and urban forest, The Richmond Greenway is not the only part of the Ohlone Greenway deserving mention. 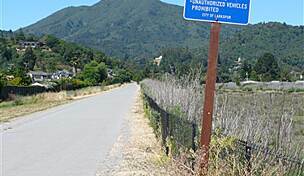 Notice R-town refused to adopt the name agreed upon by the Cities of El Cerrito, Albany and Berkeley for a trail that extends for 5.3 other miles through two counties. 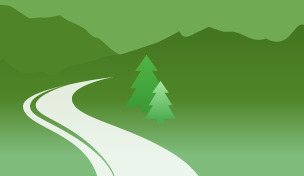 My profile pic shows some of my sweat equity in the "Richmond" Greenway. My estimate at least another 2.5 miles to go. 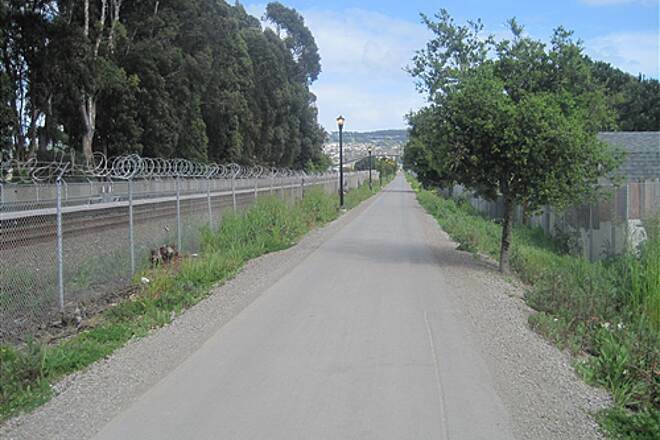 Excellent News, the eastern portion of the Greenway is now open between Carlson Blvd and San Pablo Ave (march 2010). 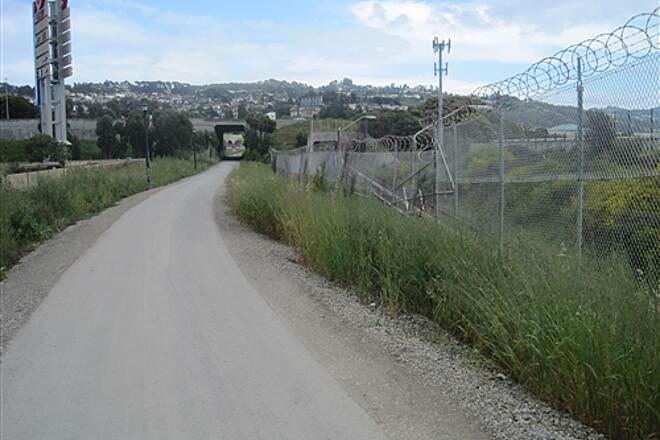 The eastern endpoint it just 100 ft from the start of the Ohlone Greenway trail; creating a continuous trail from western Richmond to Downtown Berkeley. Unfortunately the eastern and western sections of the trail dont easily connect. The 22/23rd street underpass and the UP rail tracks create a barrier. I have uploaded a diagram that shows how to make the connection without crossing any busy streets. Going East, turn right at the end of the trail (22nd) go south to Ohio and make a U-turn to enter the 22nd street undercrossing on the sidewalk. After going under the tracks, turn left twice to get onto the eastern sidewalk of Carlson Blvd. Follow the Carlson sidewalk over 22/23rd, across 23rd extension and Broadway, and under BART, then you will reach the trail and turn left. Going West, turn right onto the Carlson eastside sidewalk; follow carlson under BART across Broadway and 23rd extension, and over 22/23 streets. The make two right turns to get onto the 22nd street undercrossing sidewalk. Cross south under the tracks to Ohio street, make a U-turn to the upper walkway and go north till you reach the trail again. 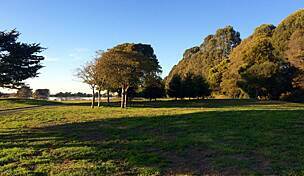 The trail has great landscaping with a 100 ft right of way; the eastern section right of way is Shared with BART so the right of way is only 40ft wide. The trail mostly faces fences on the back sides of houses. Its like having a secret passageway from one side of town to the other. The eastern section has no at-grade street crossings which is nice. Central Richmond has a reputation for being a tough neighborhood, and it definitly is more lower income than other cities of the bay. If you are uncomfortable in this situation, bring a friend with you. 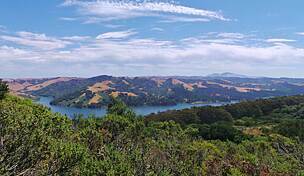 Everyone I met on the trail was friendly; there were young mothers with babies in the stroller. So I didnt perceive crime as a problem.